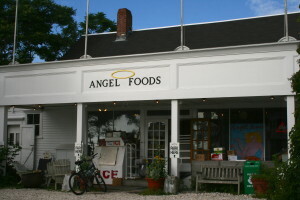 The most beautiful organic foods store I know of, featuring all sorts of beauty products, supplements, and an array of organic foods. In the corner of the store are freshly prepared food and drinks, smoothies, salads, and not to mention the cool music – you could spend the whole day here! 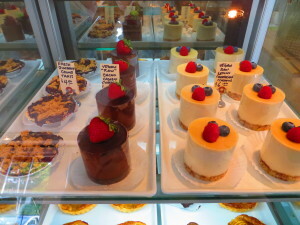 A gourmet specialty foods shop, with cold meats and vegetables, a bakery shop, full of charm. The products are high quality with a warm atmosphere. A beautiful selection of French cheeses for those who miss it! 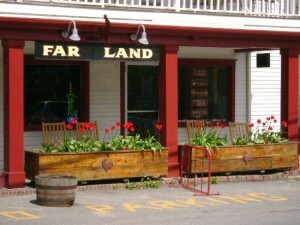 Charming ambiance and simplistic atmosphere, Far Land is a small specialty shop that also offers sandwiches, pastries, and lovely packed lunches for the beach. 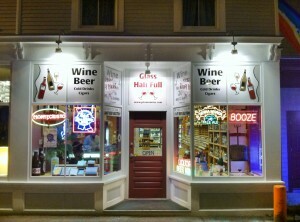 Provincetown’s only supermarket – you can find everything – or at least, almost everything! Since 1934, Perry’s is located near the West End, offering quality wines at affordable prices with a good selection of French wines. You can also buy gourmet appetizers, artisanal cheeses, and fine deli meats. This humorous boutique is nicknamed “intoxication.” Here, you will find wines, liquors, and beers from around the world, without forgetting cigars for the cigar-lovers.